The 2017 vehicles are making way for 2018 models. Here's how to find the best deals. All new 2018 cars and SUVs are in, but that doesn't necessarily make 2017 models a better deal. Around this time each year, auto dealerships will cram radio, television, newspapers and any other form of struggling local media they can find with ads imploring you to come in and buy a new car. "We have to clear out the 2017s to make room for the 2018s," they'll say in voices loud enough to wake up the folks watching Antenna TV programming. In some cases, it actually works. Kelley Blue Book predicted that September auto sales would rise 1% compared to September 2016. However, it also predicted that those sales would fall 2.6% from August. General Motors, Ford, Honda, Subaru and Volkswagen are expected to have big months, but there won't necessarily be a swell of people flocking in to relieve dealers of old models. In many cases, it's going to be hurricane victims whose cars were trashed by Harvey or Iris finally getting their relief checks and getting another vehicle. "September will be another opportunity for the first sales increase of the year, as we project slight growth for the industry," says Tim Fleming, analyst for Kelley Blue Book. "While major hurricanes devastated parts of Texas and Florida in the past month, this is driving replacement demand for those drivers with vehicles destroyed. This demand has already started in some areas, but will continue into October and potentially November, as vehicle insurance payouts are received." Kelley Blue Book says it is far more likely that these folks will buy used vehicles rather than new ones, but dealers can dream. It is far more likely that the same technology upgrades that have driven carbuyers to embracing auto leasing in recent years is going to drive folks into dealerships to check out the latest toys. Carbuyers are already picking up and turning in vehicles as if they were smartphones: Why not treat their technology as you would a smartphone as well. Take a look at this $153,000 BMW. The convertible and sedan come at a slightly higher premium, but you're still getting the 2-liter, 252-horsepower four-cylinder engine, the 10-speaker sound system, voice-control technology, 7-inch information and entertainment screens, leather seating, three-zone automatic climate control, a panoramic sunroof, heated seats, heated mirror and heated washer nozzles. You're just getting them with more safety features. Oh, and get used to seeing Apple CarPlay and Android Auto on this list: as the smartphone wars have finally died down, automakers are giving drivers what they want instead of clunky homegrown interfaces that nobody loves. 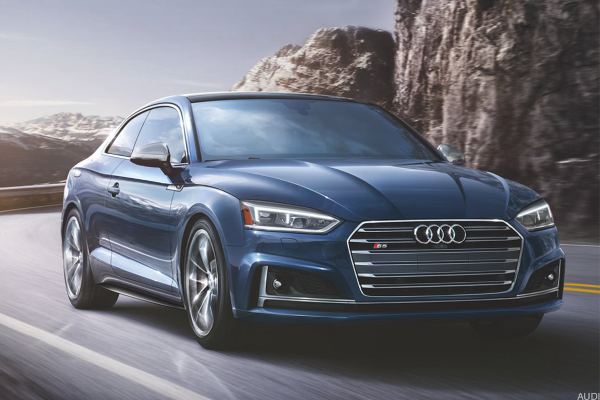 As always, the S5 is a beefed-up A5 with a 3-liter, 354-horsepower V6 engine, leather sport seat with massage function and cool-looking brake calipers. The Premium Plus package adds the Audi virtual cockpit and heads-up display with navigation and assistance systems information, Audi connect PRIME and Audi connect PLUS online services, a touchscreen with handwriting-recognition technology, enhanced parking system with a top-view camera and, to top it off, a Bang & Olufsen sound system with 3D sound, 19 speakers, 16-channel amplifier and 755 watts. Not subtle, but safer. 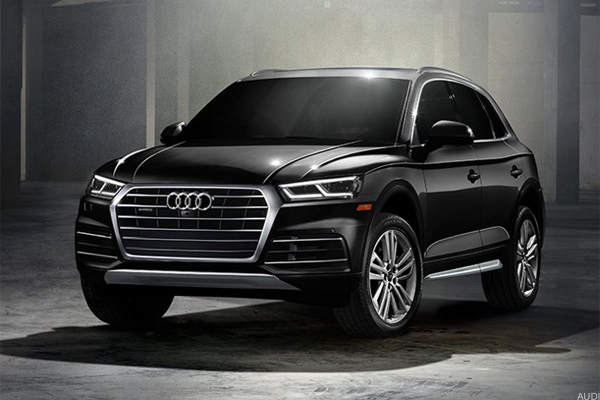 Yep, it's the A5 in crossover form. 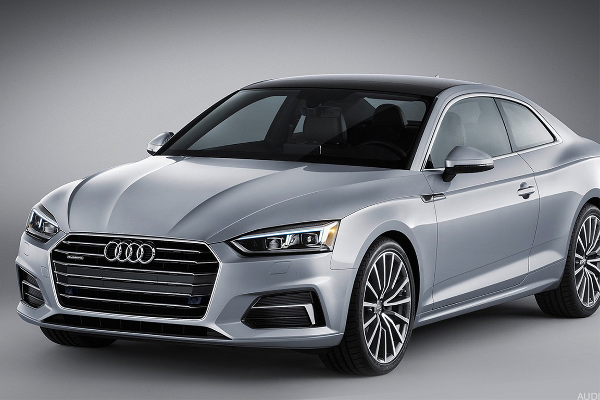 We're not going to mention the fact that automakers used to call a ploy like this a station wagon, but if it gives the A5/S5 set everything they want plus more than 60 cubic feet of cargo space with the rear seats down, who are we to argue? Even without the seats down, there's still an impressive 26 cubic feet of cargo to work with. For working families taking kids to various events or just trying to shuttle a family from one place to the next, the combination of cargo space, all-wheel drive and safety features is tough to top -- even if it is just a blown-out A5. 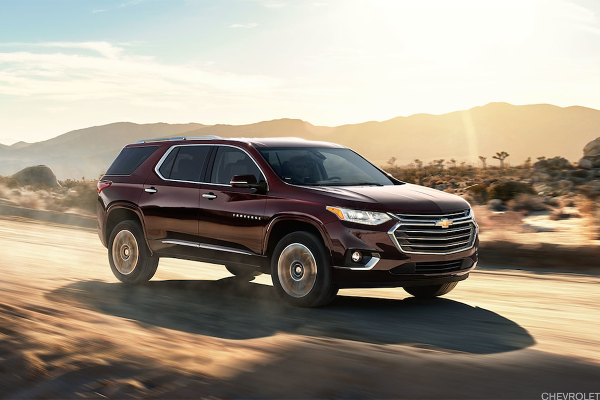 The massive Traverse finally gets an overhaul, but even with 310 fewer pounds of vehicle to lug around, the 3.6-liter V6 engine can't bring total mileage above 20 miles per gallon. That said, mileage is never what people buy this vehicle for. 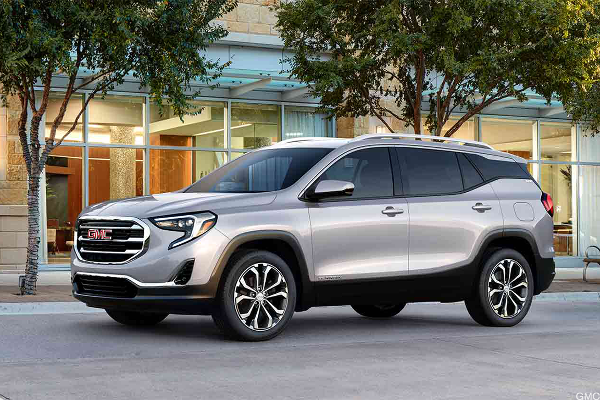 They buy it for the 98.2 cubic feet of total cargo space, the three rows of seating, the power liftgate, the fog lamps, the three-zone auto climate control, the backup camera, the USB chargers all over the vehicle and the 4G Wi-Fi for the entire family. It's a rolling condo, and it has to keep providing these kinds of upgrades if it's going to keep up with competitors like the Honda Pilot. Adding a ton of safety features certainly helps. It's built on the same platform as the Chevy Equinox, so the drop in weight and added features are all going to be the same. The difference? There are people who just love that GMC logo, honeycomb grille and body styling. They also tend to like the little upgrades like a leather steering wheel. Basically, if you liked (or preferred) the Terrain before, you're going to love it now. The GT has been kicking around since 2013, but when U.S. carbuyers want a Euro-style hatchback (and this is based on Hyundai's Euro i30), they tend to go European. The problem is that Europeans see, say, the Volkswagen Golf or GTI and think about racing. 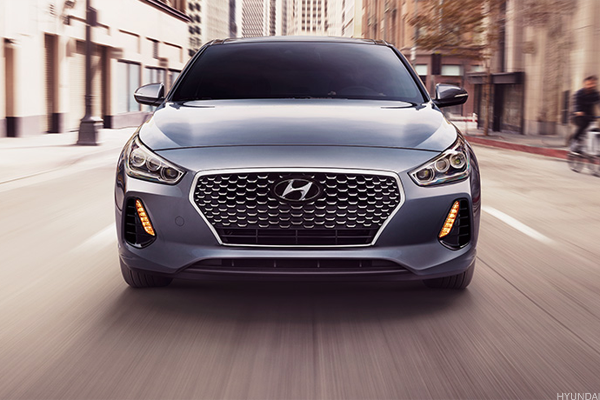 The average U.S. carbuyer sees the Elantra GT and sees a boxy hatch with a crossover-sized 25 cubic feet of cargo space behind the rear seats. There's a Sport version that's trying overly hard not to be the school/commuter car, but the base version of this vehicle excels with a 2.0-liter, 161-horsepower four-cylinder engine that manages to be less powerful than the 2017. With a total of 55.1 cubic feet of cargo room, a whole lot of legroom and a cabin seemingly built around a touchscreen, the GT has "gran tourismo" in its heritage, but a big family vacation in its future. 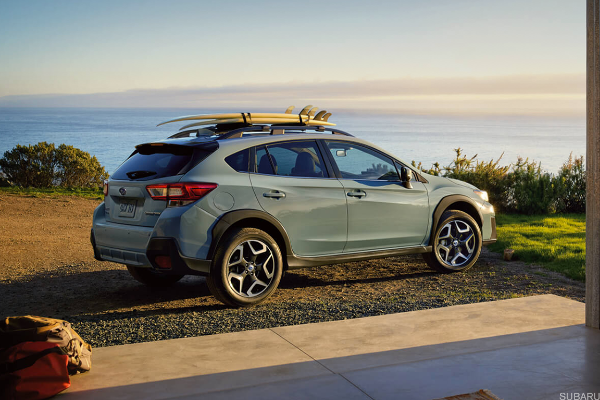 It's hard to believe that it's been four years since Subaru introduced the last link to its wagon-shaped past, but the former Crosstrek XV has come a long way. Sure, the four-cylinder engine still seems a bit undernourished at 170-horsepower. Sure, the Starlink multimedia system and its four speakers still leave much to be desired. But there's 55 cubic feet of total cargo space (though just 20 with the seats up), its mileage sits at a noteworthy 29 mpg combined and all-wheel drive remains standard. Even by just giving folks an easier interface for their smartphones and slightly more room to breathe, Subaru made some much-needed upgrades to a vehicle begging for them. It takes a lot for Toyota to mess with the best-selling car in the nation, but time waits for no car. As it is, the Camry still lacks the ApplePlay and Android Auto that just about every car on this list (and its main competitor, the Honda Accord) already has. It also was starting to look a little utilitarian compared to its fellow midsize sedans, which all suddenly want to look like extras in a Fast and the Furious film. 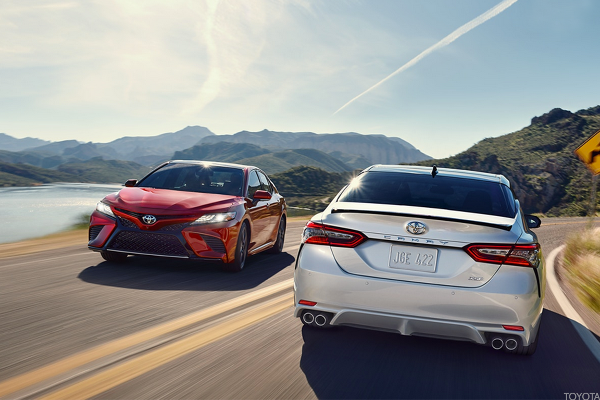 Some of the new Camry trims come with two-tone paint and dual exhaust, but even the faithful LE's standard 2.5-liter four-cylinder engine got a boost from 178 to 203 horsepower. It did so while actually improving highway mileage from 33 mpg to 39. An eight-speed automatic transmission makes for a smooth drive, but it's Toyota's impressive, near self-driving Sense-P safety system that's the key addition here. Using both a camera and radar to detect other cars and pedestrians on the road, warn drivers to brake as needed and hit the brakes automatically if there's no time for a warning, Sense-P is one of the strongest safety upgrades on this list. Then there's Volvo, whose entire existence is built around safety. Fancy lights, a moonroof and smoother smartphone connectivity through a bigger touchscreen are all nice, but they're small parts of an overhaul nine years in the making. Despite not touching this car in nearly a decade, the XC60 made up 30% of Volvo's total sales. The 316-horsepower T6, a lavish interior more like the larger XC90 and the Sensus system are all fine upgrades, but IntelliSafes seals the deal. 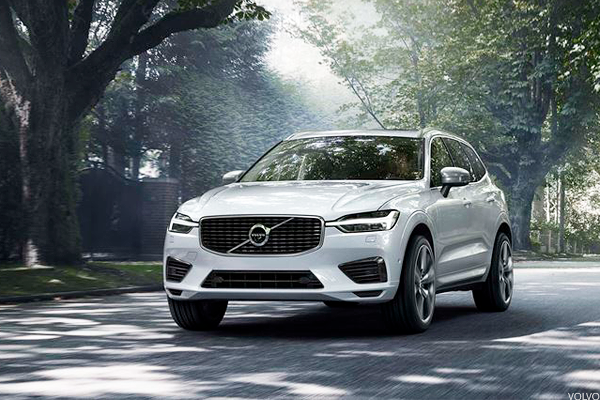 It includes the City Safety system that brakes to avoid or ease low- to medium-speed crashes, Steer Assist to steer away from collision, Blind Spot Indication System (BLIS) to automatically guide the vehicle back into the open lane to prevent errant lane changing that could result in a collision, advanced adaptive cruise control with automatic steering and Pilot Assist, Volvo's semi-autonomous driver assistance system that takes care of steering, acceleration and braking on well-marked roads and is available in the new XC60 as an option. It's halfway to the autonomous vehicle Volvo wants by 2020, but it's a huge step toward safer roads and drivers.